(SPOT.ph) Pokémon Go was a worldwide phenomenon that cut across generations and got everyone playing (or at least watching in fascination as their friends played), so you'll probably be thrilled to know that another augmented reality game is coming your way this year, and this time, it's going to be based on the ever expansive magical world of Harry Potter. 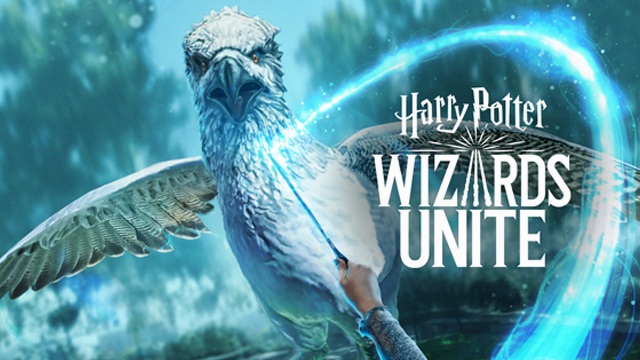 Developed by the creators of Pokémon Go, Harry Potter: Wizards Unite features similar mechanics as players get to explore and find different objects from their surroundings through their smartphones. You'll get to take on the role of a new recruit working with the Statute of Secrecy Task Force and you'll be tasked to collect and recover a mix of artifacts and other "Foundables" scattered around the world. But that's not all there is to it: You'll be working to solve the mystery behind the "Calamity," which caused artifacts, creatures, people, and even memories to mysteriously appear in the Muggle world. You'll also find yourself in certain situations that might require you to cast spells, brew potions, and even gather ingredients (which vary according to the environment, weather, and even the time of day) that you might need. Ever wondered what it would be like to face off with Dementors? According to the website, Fortresses indicated on the Map host Wizarding Challenges where players can face off enemies—which will help you recover rare magical Foundables from within the Fortress walls. As it is, Harry Potter: Wizards Unite is looking to be an immersive experience. Players who are in it for the long haul can even specialize in their chosen professions. You can choose to be an Auror, Magizoolosit, or a Professor—it's up to you—and create teams with your friends. With a promising multi-layer narrative, gameplay, and advanced augmented reality (AR) technology, Harry Potter: Wizards Unite is definitely something fans are likely to look forward to. Niantic and co-developer WB Games haven't announced its official release date yet, but we know it's coming out sometime this year for Android, while iOS users might have to wait a little longer.